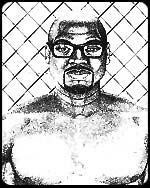 Read a statement from Kijana Tashiri Askari, a hunger striker at Pelican Bay State Prison, explaining the challenges and advances of last year's CA Hunger strike and how the strike relates to struggles inside and outside of prison around the world. In July 2011, a few dozen prisoners held in the Security Housing Unit at Pelican Bay launched a hunger strike to protest the torturous conditions of their imprisonment. In the first four days of the July strike, at least 6,600 prisoners throughout the state's prisons joined in solidarity with the five core demands from Pelican Bay, while in torturous conditions themselves. This round of the strike lasted nearly four weeks, as the CA Department of Corrections & Rehabilitation (CDCR) went into negotiations with hunger strike representatives at Pelican Bay and conceded to very small changes (providing cold weather caps or sweats to some prisoners, proctored exams, the chance to take a photo for family, wall calendars, etc). The CDCR promised to make more substantial changes later. Prisoners resumed the strike on September 26th, after it was clear the CDCR would not make substantial changes regarding the rest of their demands. When resumed, the strike doubled in size, reaching nearly 12,000 prisoners throughout the state in maximum and minimum security prisons as well as county jails and detention centers. While Security Housing Units (SHUs) and other methods of solitary confinement have been the topic of multiple international human rights abuse cases and scrutiny for years, this hunger strike reminded the world torturous conditions are central part of maintaining the prison industrial complex. The hunger strike also exposed the leading reason Department of Corrections use to justify torture--gang validation, a process that further criminalizes and dehumanizes poor/working class and prisoners of color and their families, and leads to more resources poured into everyday policing. In March 2012, the CDCR imposed a modification of the “validation” & SHU placement process, in response to the hunger strike, which was rejected by a collective of prisoners housed in Pelican Bay’s SHU who were involved in the hunger strike. Amnesty International responded to the changes, saying: “California’s prison isolation units remain inhumane despite department’s proposals to amend policies”. These proposed changes involved expanding the profile for gang validation/SHU placement, in turn expanding the prison system’s reliance on SHUs instead of shrinking it, as the prisoners ultimately demand. Over the past year, people worldwide have supported the hunger strikers by coordinating events, rallies and demonstrations, as well as calling the CDCR and their legislators to negotiate with the prisoners and their approved outside mediation team, and to bring large-scale attention to this issue. Events and rallies in solidarity with the hunger strike have been held in dozens of cities internationally. Throughout this struggle, family members have played a major role in supporting the strike, visiting & corresponding with their loved ones, sharing vital information and organizing events, mobilization and lobby days to Sacramento to pressure legislators to get involved. Soon after the strike began, a group of family members in Southern CA joined forces in support their loved ones and started an organization--CA Families to Abolish Solitary Confinement (CFASC). 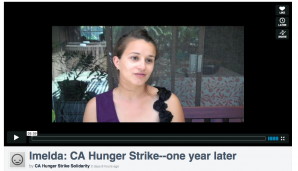 Continuing to support their loved ones, the five core demands and to push the struggle against solitary confinement forward, CFASC has been working closely with Prisoner Hunger Strike Solidarity and CURB (CA United for a Responsible Budget). Recently while planning their future work supporting prisoners and fighting to abolish solitary confinement, CFASC members shared their reflections of the anniversary of the strike--what's changed since the strike, what their hopes are and how this strike relates to fighting prison and jail expansion at large. The actions of the CA hunger strikers are undeniably related to other prison strikes against extreme isolation, political and religious persecution, overcrowding, and deplorable health conditions. Recently in the US, prisoner hunger strikes have been waged in Virginia, Illinois, Georgia and Ohio. In commemorating the CA hunger strike, we know this struggle is a protracted one, and continuing to resist the forces of disappearance and death is necessary.